Looks like it's pretty much the end of the line. We all expected this. Radio Shack is being delisted and is getting ready to close its stores. Rumors are flying that some of the stores may be taken over by Sprint or even Amazon. Surprised? Me neither. How many of us could write the obituary that's already appearing nearly identically everywhere. It seems that everyone knows what killed Radio Shack except for the people who ran Radio Shack. The iconic store had no hope of surviving as a competitor to big box stores and online retailers, and refused to embrace its roots among true electronics enthusiasts. 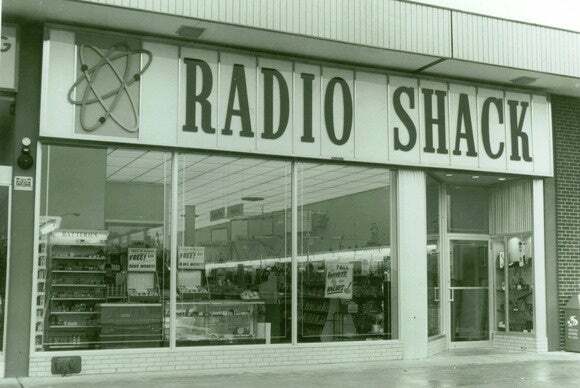 I'd like to say farewell, but Radio Shack has already been dead for nearly two decades. It's amazing that the zombie stayed animated for as long as it did. I'll go out on a limb here and suggest that Best Buy is next. They may appear bigger and stronger, but they are already widely known as "Amazon's Showroom." If you've got access to a Fry's or Micro Center, you're among the lucky ones who still have a local place to go to for those quickie parts and gadgets. We're willing to pay a bit of a premium for that convenience, but when RadioShack (note the name was converted to CamelCase around the time they zombified) was charging five times the price for that premium, even that became unworkable. Someone's got to be a friend to the maker community. There's an opening for someone to do it right. Radio Shack went off my list of places back when they thought it was smart to completely ignore the ham radio market. Oh, you could still, even to the very end, find oddball connectors and dodads if you were willing (I was) to root through their parts drawers. But the END was clearly marked when I went into one of the stores a few years back and asked for a roll of 50 ohm coax cable. The attendant said "what's that?" And I exploded. "Back in the day" they sold a 2 meter handheld, 2 meter mobile rig, and a 10 meter SSB/CW rig - and I think it was the 10m rig that got them in trouble and started them toward where they are today. You see, they sold a LOT of those rigs. Not to hams, but to CBers who quickly realized that the Radio Shack "ten meter" rig also covered "eleven meters" (otherwise known in the US as Citizens' Band, or CB - an unlicensed zoo). So the FCC stepped in and made them pull the product. And the idiots at Shadio Rack Corporate thought they may as well drop all the ham gear. I have that 10M mobile (HTX-100). Nice rig actually. I did packet radio contacts with BBS's in Germany and keyboard to keyboard contacts with other hams in Surinam and Mexco and all over the US on a regular basis with that rig and a TNC and an old 8086 computer (Amstrad) and a COCO II. Before all of that, I liked the fact that you could get schematics for most of the items they sold. I found satisfaction in being able to see the schematics to the item I purchased. I loved to to read up on electronics back in the 70's from books from the library. When I made my first purchase (from Radio Shack) of a 3 channel 11M hand held radio, I was hooked. From there, I made kits from what I had learned from an old 100 in 1 kit and bought parts from Radio Shack. Even before all of that, I had a battery of the month card. Fun times. It is a hole for me, but they lost their way. I remember that 3 channel HT, it was marketed as a "CB walkie talkie"
It's a perfect example. Radio Shack had the coolest stuff. Like I said, we could all write the same story because we all *have* the same story. Thanks for the ping back IG. Sad to see them go as well. Not for myself, but more for my son and daughter. I am already having a tough time showing them how to things at home without the need to go online and research what you already would be able to do from the parts bin of a well stocked electronics parts store. My very first home computer was a Tandy/Radio-Shack. TRS-80 Model 1. It led to my Apple II. Which led to Jersey Devil Citadel. Then my first PC, which led to Citadel In C!! And *that* led to NetK2NE and **sinful** amounts of money made. And here be me.... K2NE! I really like Radio Shack in the abstract / in theory, but I rarely actually shop there anymore. I bought a camera there, 5 years ago, gift for L, which turned out to be a very bad buy - we sold it and bought something else. I went in there looking for Apple products a year or two ago and they sent me walking over to the Apple Store, despite what was on their website for inventory. That's kind of how everyone is feeling. Like I said, the reason for Radio Shack's decline seems to be obvious to everyone except Radio Shack. yea, had the same over here in germany with the Schlecker markets - the boss would be the one to know last, since whenever he would come into a store they would know before, and polish everything. So, the lower management layers were cloaking lots of information in the direction upwards. and Micro hdmi which has about the same size, but a full pinout as the odroid C1 and friends bring it. Computer Shopper was great when it was a huge, thick magazine and it took two people to carry it. Long after Ripoff Shack went to crap, the Digi-Key catalog was a reasonable substitute for devoted makers ... not casual reading at all, though. Yup - same sort of thing with the MFJ catalog. MFJ, among us hams, has earned the "Mighty Fine Junk" nickname. You really must have a discerning eye along with experience in order to find the gems among the garbage in their catalog, which is only marginally better than their web site. But there ***are*** gems to be found. Same goes for the Cushcraft (CushCrap) catalog for antennas and antenna related hardware. If you know what you are doing, lots good to be found amidst the total crap that otherwise abounds. Example: Cushcraft 5-element Yagi (beam) for six meters. Buy one anyway, do not use the smallest (most forward) director but save it and the mounting hardware. Use it, along with some other stuff you can buy at any big-box home improvement store, and build my 4-element TriYagi (see the QST article for all measurements). MUCH cheaper than gathering all the hardware from "scratch." And much less work!! And sort of related but not really, you can all feel happy, SkyMall magazine will return! whew, once these are affordable I need one. Wow. How the heck are they doing that? Are they perhaps firing intersecting beams of energy that solidify the resin at any point where they meet? If I read it correctly, they have a layer of oxygen on the floor of the basin; which in combination with UV-light makes the solid parts.